New Zealand Thoroughbred Racing Inc (NZTR) is the governing body of the thoroughbred code in New Zealand. It develops all equine training programmes in New Zealand and runs dedicated apprentice schools in the main racing regions. 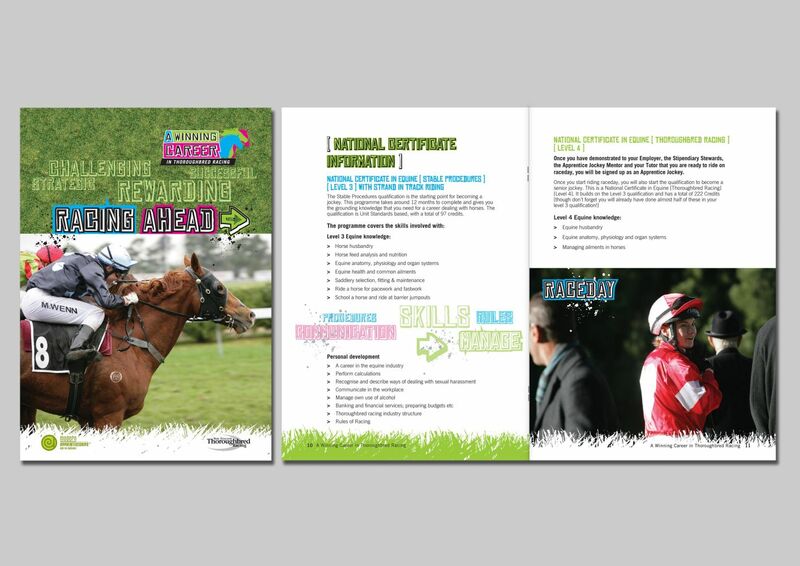 NZTR communicates all relevant information within and outside the thoroughbred code. I was hired to complete a total re-brand from the company logo to business stationery promotional material website and educational resources. Project: ‘A winning Career’ Brand design and Brochure design. Format: 16 page A5 saddle-stitched booklet. Brief: The client required a modern bright design. It needed to be targeted to young people, portraying the equine and racing industry. Solution: The layout had many elements, including a textured grass background for the cover. There was also a silhouette grass pattern created for along the bottom of the page. The professional photos of the jockeys and horses brought it to life. Project: Large Banner for Careers day. Brief: To design a large banner representing careers in the racing industry. 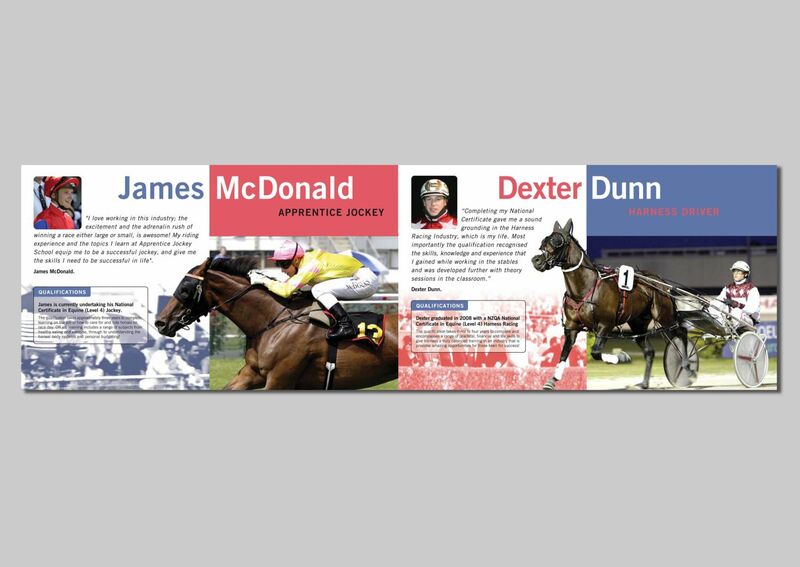 Solution: A profile type banner highlighting the successful careers of Apprentice Jockey James McDonald on the left, and Harness Driver, Dexter Dunn on the right.